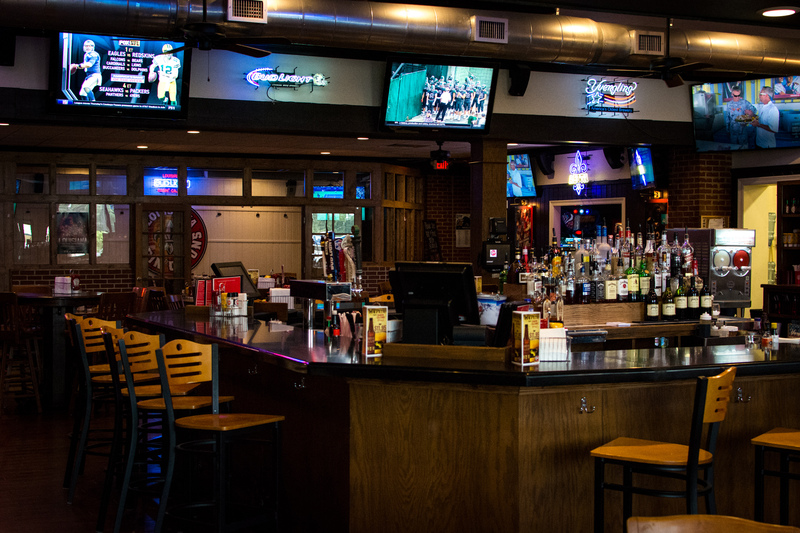 Sports bars tend to be typically typical; offering their guests little more than a gathering place with televisions and an unspoken understanding that good service is defined by speed, accuracy, and as little interruption of the viewing of televised sporting events as possible. 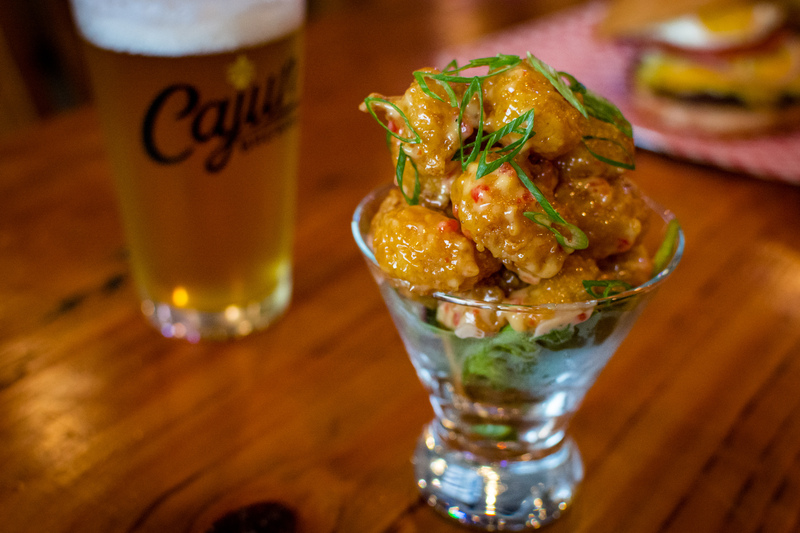 Menu items bear puns for monikers and cheap domestic beer flows like the wave in the upper deck at a blowout. But take that concept and carry it into its 50th year of operation, and you have a sports bar where typical becomes iconic; you have Pete’s of Lafayette. Pete’s was founded in 1968 in the building on General Mouton which now houses The Bulldog. Its original owner, Preston Guidry made an excellent choice in his first employee: one Charles Goodson. Mr. Goodson only worked at Pete’s for a couple of years then, but is now Lafayette restaurant royalty, having owned and operated Charley G’s for over thirty years. He is now part of a restaurant group that owns Charley G’s, Social Southern Table and Bar, The Taproom, and, since April of 2016, Pete’s on Johnston. Given Mr. Goodson’s previous employment at the original Pete’s, as well as the proximity of the current location to another property owned by the restaurant group (Pete’s is next door to Social), it would be easy to see a sentimental motivation to add the sports bar to the group’s stable of eateries. But Mr. Goodson says the reasons go deeper than that. “We thought there was something to fifty years of being a family sports bar, and there was a future for it,” he says. In short, the group added more than a sports bar to their roster; they added a legend. 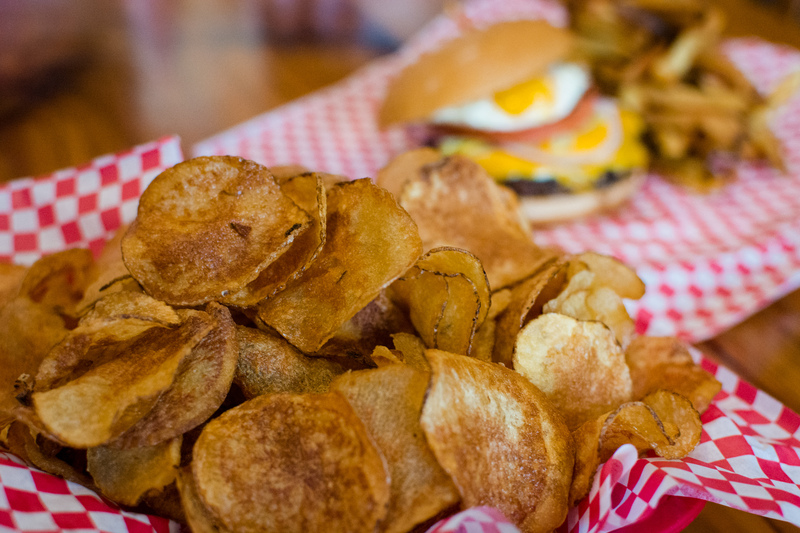 Pete’s has been housed in several different locations over the years and has had a few owners. In recent years prior to the April 2016 purchase, the Johnston St. location’s viability as a family establishment had waned. 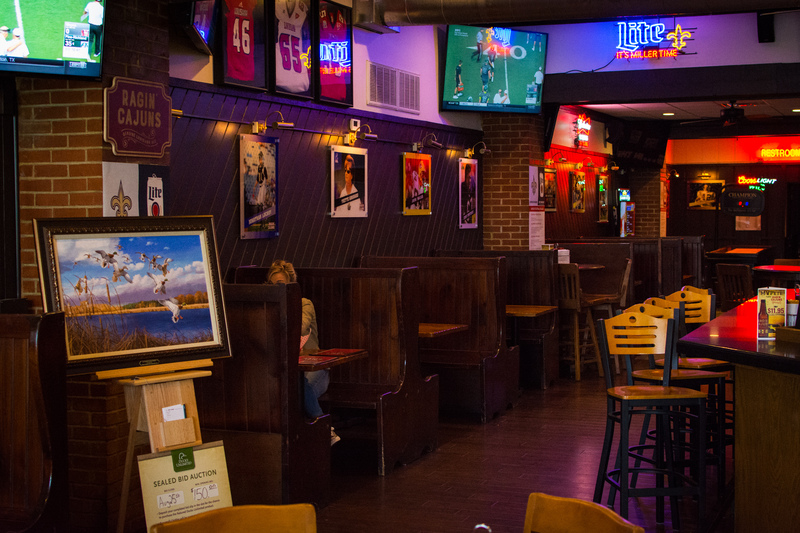 Before reopening the sports bar, the restaurant group made renovations to the interior of the building, sparing its soul but making it cleaner, brighter, and friendlier. The renovations allowed additional natural light to shine in from outside and also added a private dining room capable of hosting up to thirty guests. The space is clean and fresh, and once again truly family friendly complete with multiple table and arcade games. In addition, the team has made an effort to host sports related events of all sorts to carry on the heritage of the brand. On Tuesdays during this fall’s football season, Pete’s will host the Prep Power Hour, a live remote broadcast on 103.7 The Game. Hosted by radio personality Ben Love, the show will be broadcast live from Pete’s on Johnston and will feature guests from winning teams in the local areas high school football games from the previous Friday night. Similarly, on Thursdays, Pete’s will host the Ragin Cajun Coaches Show, broadcast live on ESPN 1420 AM. This show, hosted by Jay Walker, will feature UL Ragin Cajuns head football coach Mark Hudspeth and other guests. 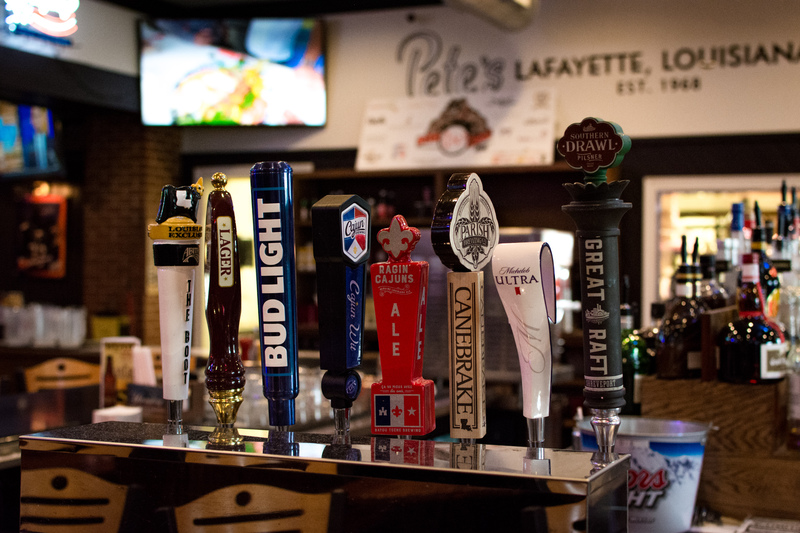 Pete’s will also gladly host your fantasy football draft party and offers several packages to choose from, including the intimacy of their new private dining room. The food menu at Pete’s has also seen a revamp. More focus has been put on new menu favorites such as plate lunch-style entrées like Pot Roast and Hamburger Steak. A selection of salads and wraps was also added, and the fries and chips are cut in house. 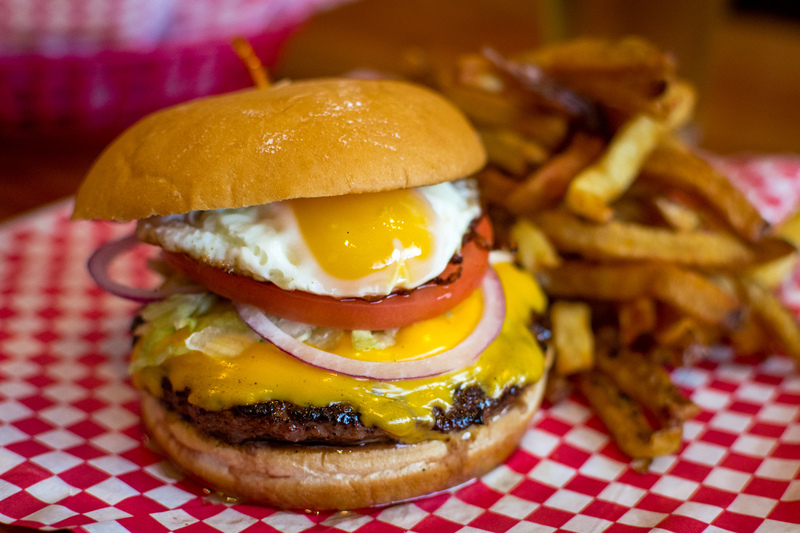 Wednesday night’s bring a special on what is possibly the restaurant’s most popular item: the Lil Pete. It’s the smaller, but not small, version of the monster sized Big Pete burger, and on Wednesdays from 4:00 PM to close, it’s half off. Happy Hour means buy one beer, get one free, and the special is good Monday through Saturday from 11:00 a.m. to 6:00 p.m. and all day on Sundays, when the special also includes the Absolut cocktails. 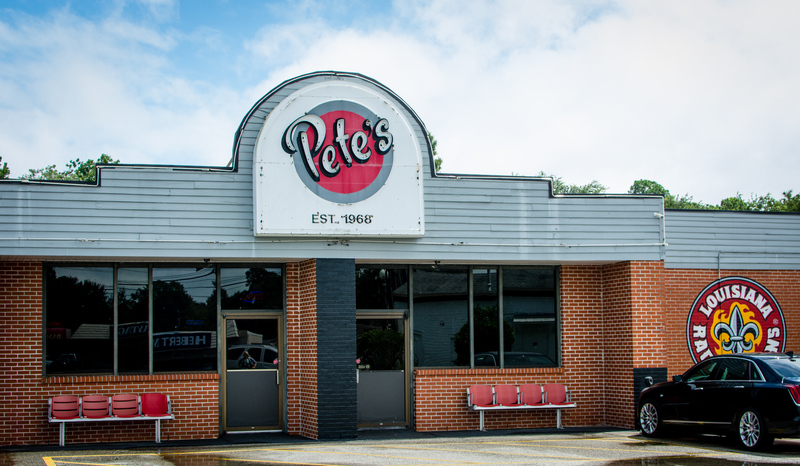 Ownership plans to officially commemorate the 50th anniversary of Pete’s with a party in the fall of 2018, but you don’t have to wait until then to enjoy the history and nostalgia. And under the direction of the team including Mr. Charley Goodson, you know the experience will be top notch for anyone and everyone. Pete’s is truly a Family Sports Grill.